Cheap parking in Barcelona: where to park in Barcelona? Traveltipy > Spain > Barcelona » Cheap parking in Barcelona: where to park in Barcelona? Are you traveling by car to Barcelona and wondering where to park? Here’s our guide to finding cheap parking in Barcelona! Finding a car park in Barcelona without spending a fortune or risking vehicle impoundment – and its corollary, an expensive fine – can be a mission. As in all large cities, finding a parking space is never easy. All the more so since the police are usually quick to impound a vehicle if they consider it to be badly parked. 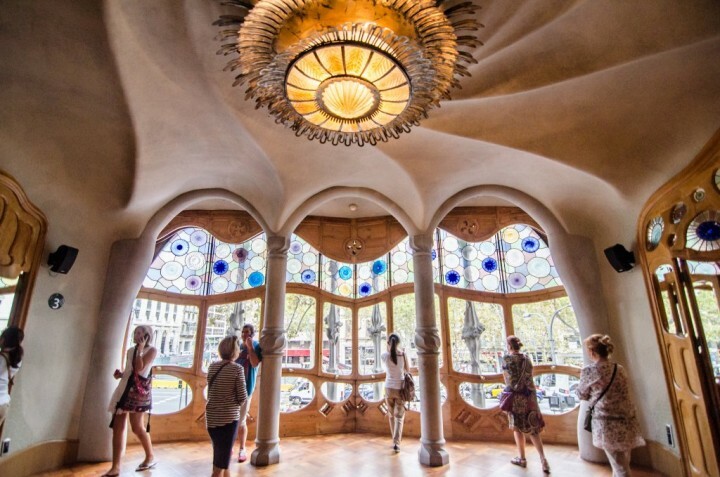 To avoid such inconvenience and travel in Spain serenely, you should locate the city’s parking lots to find cheap parking in Barcelona and even book a place online in advance. 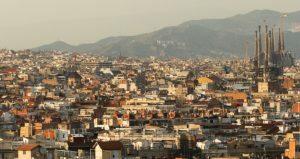 Barcelona is a sprawling city of roughly 1.6 million inhabitants, with more than 5 million Barcelonans in the entire metropolitan area. Parking rates in Barcelona vary: rates in some neighborhoods can be double compared to other areas. As a result, traffic can be quite substantial, especially at peak times. Find out how to find cheap parking in Barcelona. Parking in the city center and close to your accommodation is ideal. It’s even better if you manage to find parking in Barcelona near a subway station. But finding a cheap parking space near Plaça Catalunya or Plaça España is a difficult, if not impossible, endeavor. Parking meters charge by the hour, causing exorbitant costs. The feedback from most travelers having visited Barcelona is to park in secure, covered car parks, protected by CCTV. 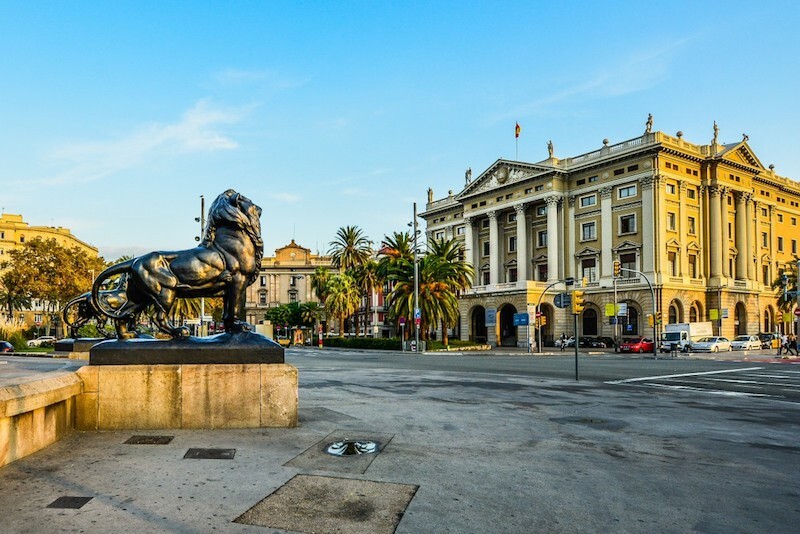 Please note that you should never park illegally in Barcelona – nor exceed your time slot even a few minutes – because the municipal pound is on the lookout. If you find a fluorescent triangle where your car was parked, you can be sure it has been impounded… So be very careful. If you’re aiming for an outdoor car park in Barcelona, be aware that the parking spaces are materialized by color code: blue and green. The blue zone indicates a paid parking area from Monday to Friday from 9:00 a.m. to 2:00 p.m. and from 4:00 p.m. to 8:00 p.m. and also on Saturdays, Sundays, and public holidays near the beach or downtown. Outside these hours, parking is free: read the parking meter information carefully. The green zone, open from 8:00 a.m. to 8:00 p.m., corresponds to the 22 parking zones reserved for residents of each neighborhood. Their rate is reduced: €1 per week. Beware: non-residents pay more and can only park there for two hours maximum. Free parking in downtown Barcelona is almost impossible to find unless you go outside the city center: in Zona Universitaria, Poble Sec, La Sagrera, Montjuïc and in the Pedralbes district, you will find free parking spaces. Although these parking lots are situated far from the center, they are close to metro stations. Alternatively, you can also park in shopping centers, a good option for parking in Barcelona: La Maquinista, Diagonal Mar, Ikea, La Illa, Granvia, Heron City, El Corte Inglés, for example, have free parking for two or three hours, sometimes even 24 hours a day. In the upper town, the residential areas of Vall d’Hebrón and Guinardó also offer free parking spaces. Finding parking in Barcelona once you have arrived is often difficult, if not impossible. We recommend you book your parking space online in advance. The Parclick website, a car park price comparator, is very well done: it allows you to locate all the car parks in Barcelona, and view the rates, locations, timetables, and to book online. Prices vary from €5 to more than €25 for one day. Tip: the Barcelona Estación Nord bus terminal is very popular, with many available spaces. 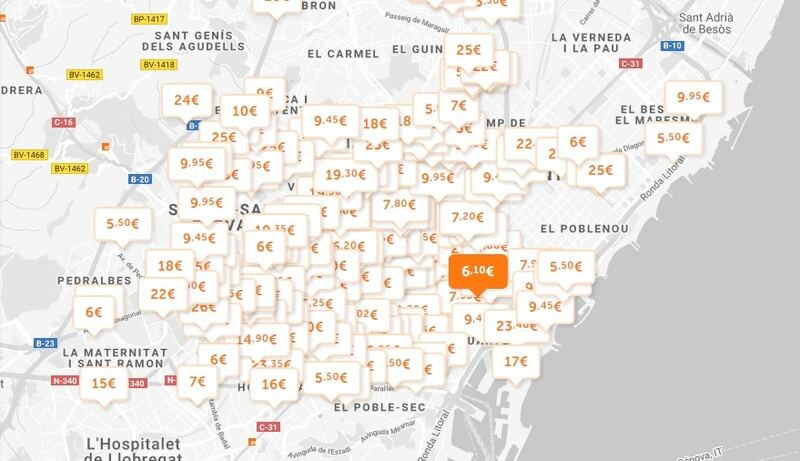 Where to find cheap parking in Barcelona? Urgel-Floridablanca Parking, €14 for one day.